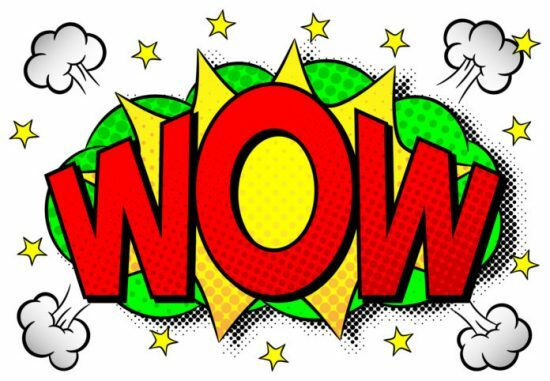 Enjoy the read and be prepared to be inspired! 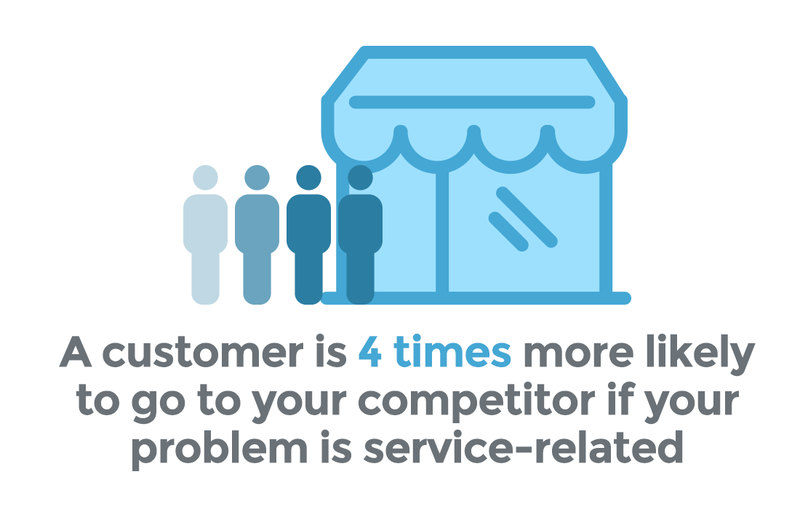 In order to drive more customer visits to your online store, you can also reward them with points just for logging in or for referring a link to a friend. 21. Two-thirds of Americans aged 50-plus buy from e-retailers online. (Pew). 22. Why should you also focus on tablet users? 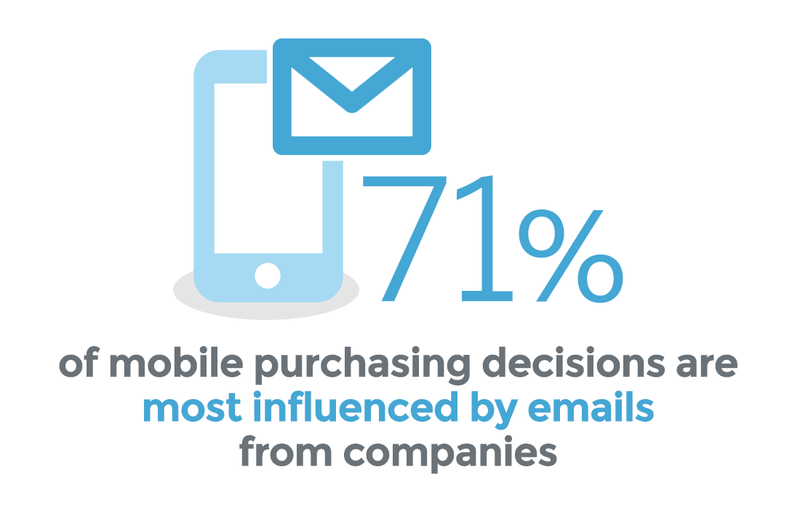 Consumers who visit your website via their tablets are nearly three times more likely to purchase something as compared to those who visit your website via their smartphones. (Adobe) Tablet users also spend more than PC users. 24. When shopping for products, 50% of millennial parents say they try to buy products that support causes or charities. 32. 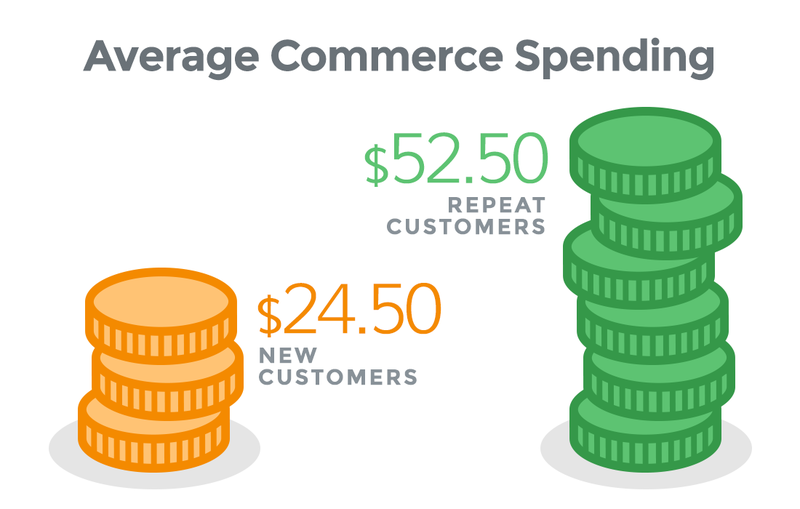 As noted by David Bell in his research, customers are more likely to take advantage of waived shipping fees that cost $6.99 than a discount that gives them $10 off. 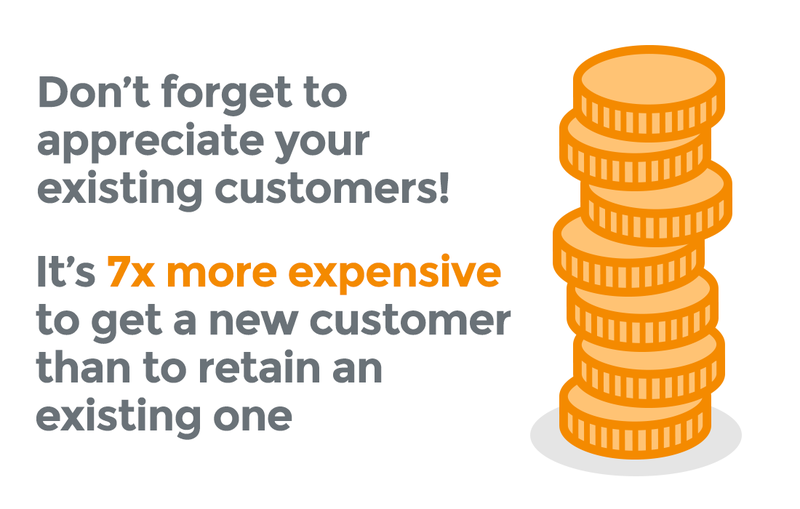 Your customers are more tempted by waived shipping fees rather than by discounts  remember this the next time you struggle thinking of an effective promotional campaign. 34. 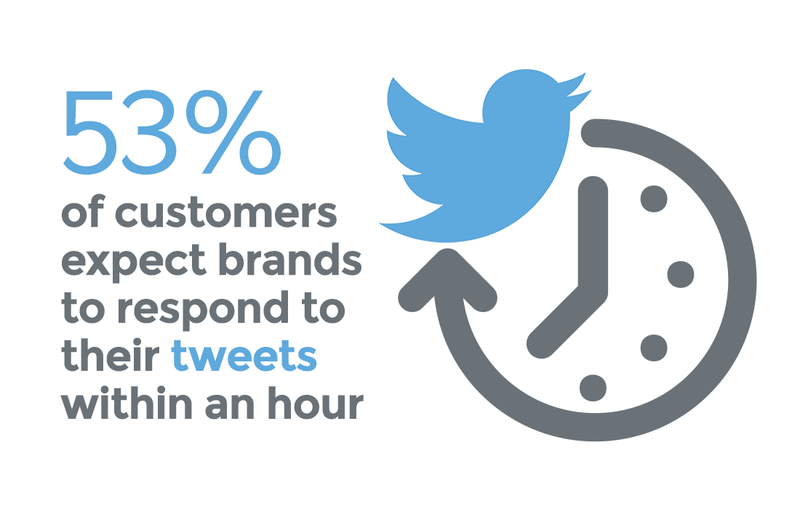 By the year 2016, online sales driven from social media will grow 93% per year. 46. 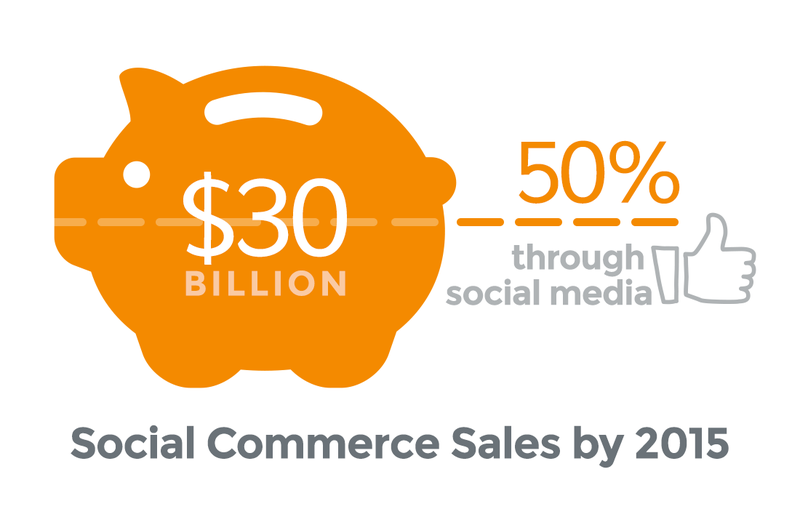 Social commerce sales are expected to reach $30 billion per year by the year 2015, with 50% of the online sales happening through social media. 62. 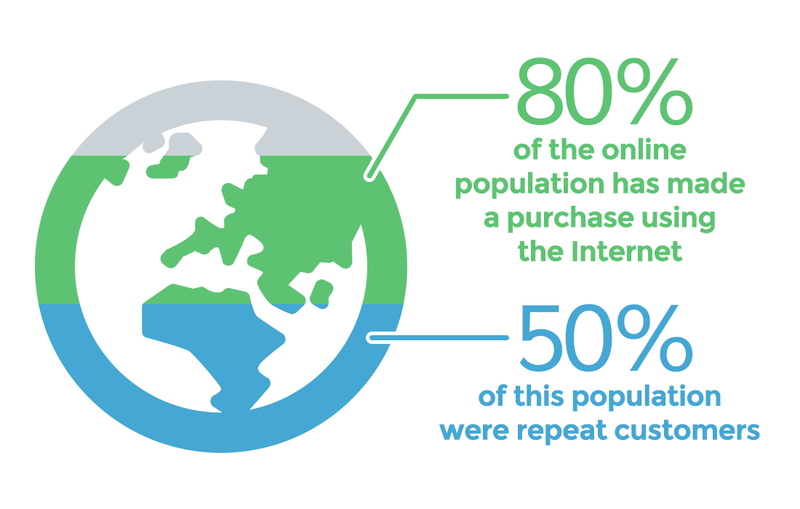 Global mobile ecommerce sales are expected to reach $120 billion in 2015. 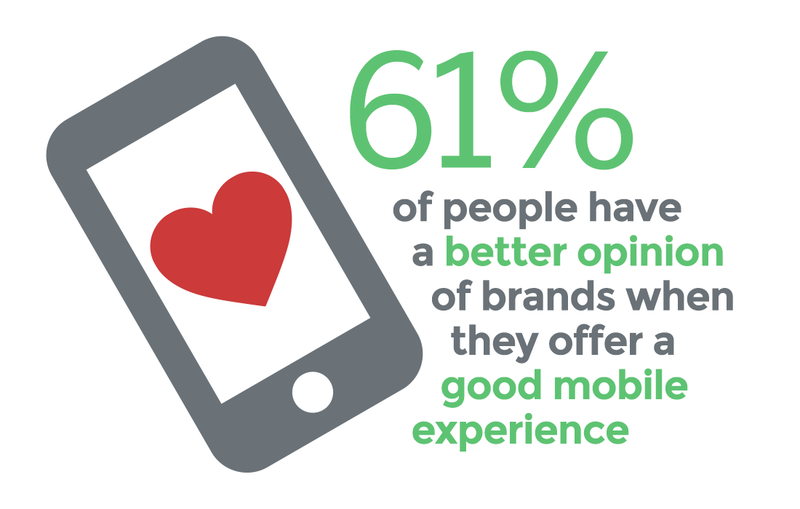 If youre not making use of your mobile-optimized website, then youre missing out on making a whole lot of sales! 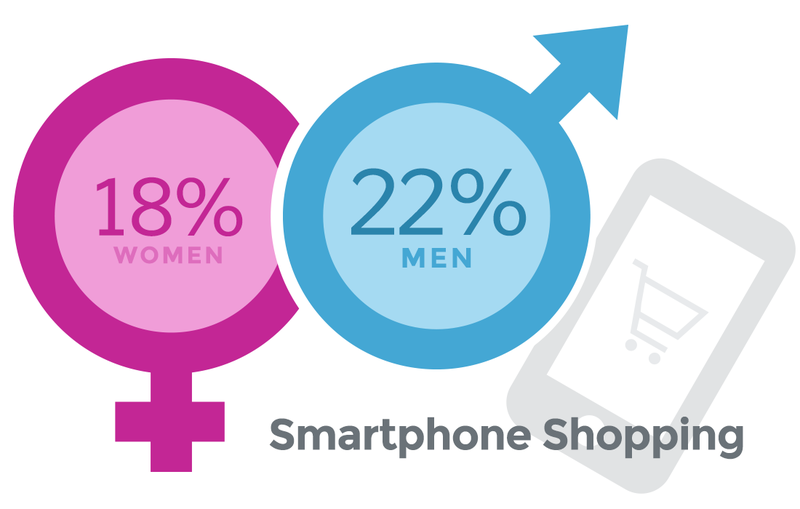 44% of retail Internet minutes are spent on mobile phones. 11% of retail Internet minutes are spent on tablets. 68. 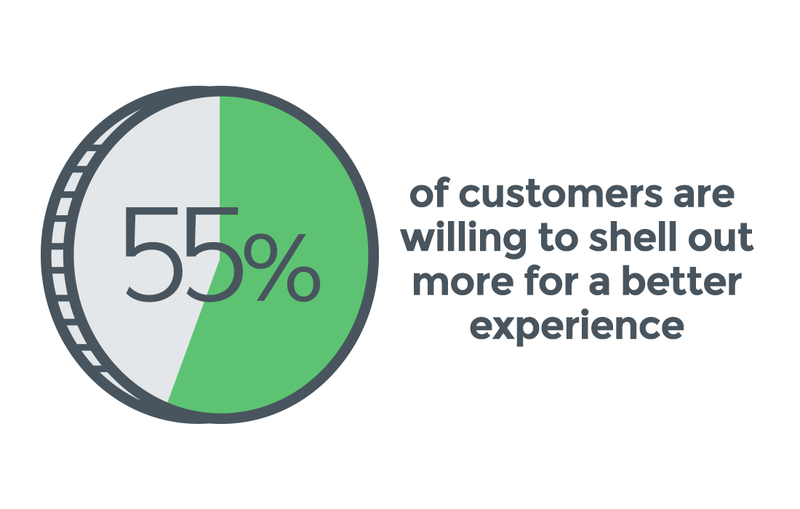 23% of online shoppers will abandon their shopping cart if they have to create a new user account. 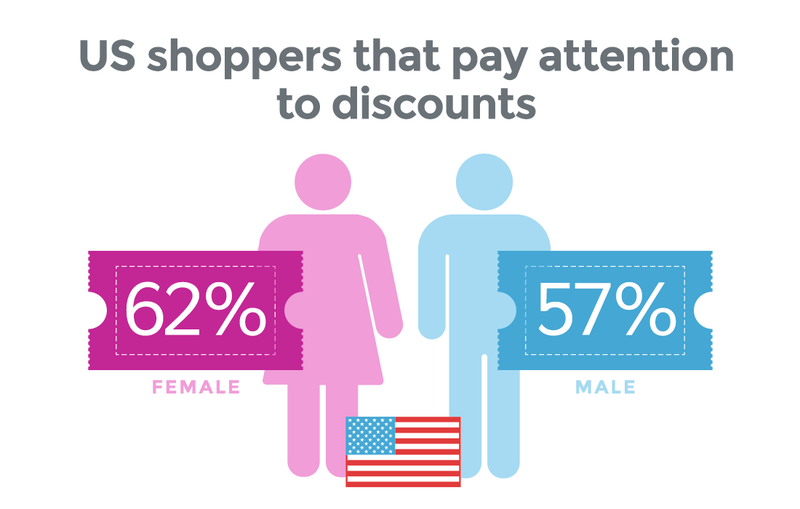 (KISSmetrics) You dont want your visitors to abandon their shopping carts, do you? 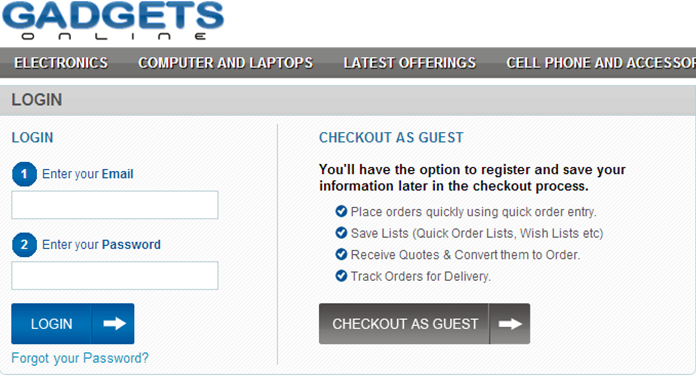 Then dont force them to create an account  instead, encourage guest checkouts. 69. 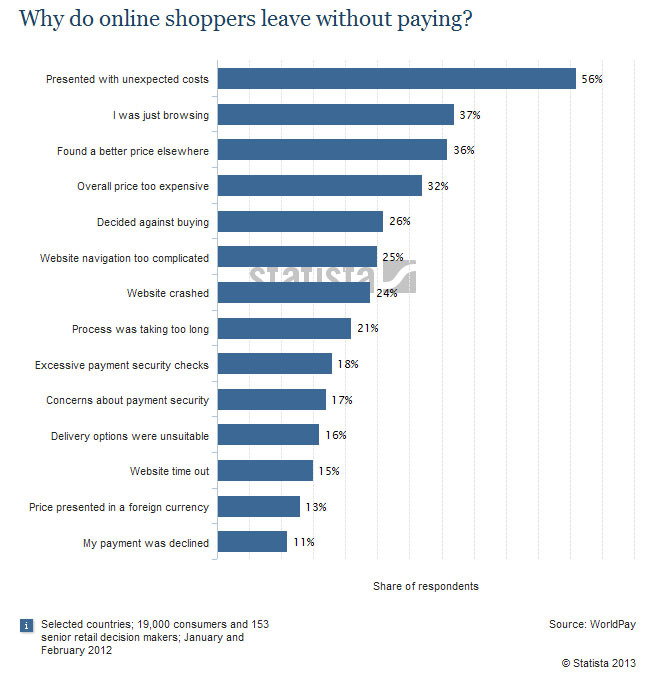 67.45% of online shopping carts are abandoned. 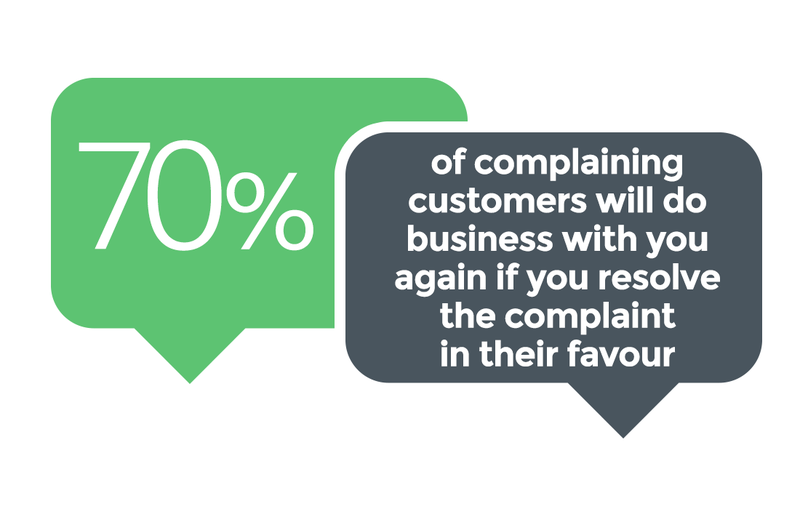 (Baymard Institute) This means that for every 100 potential customers, 67% will leave your online store without even purchasing anything. 70. 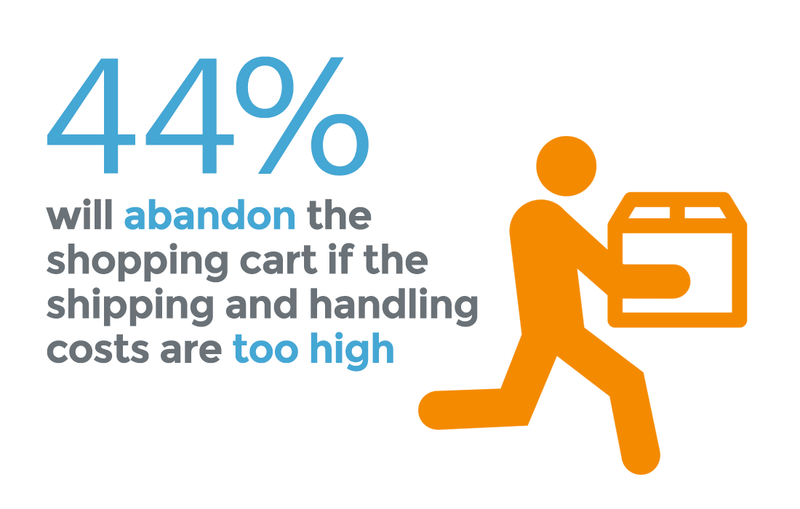 In 2013, as many as 74% of online shopping carts were abandoned by shoppers. (Barilliance) This abandonment rate is up from 72% in 2012, and 69% in 2011. 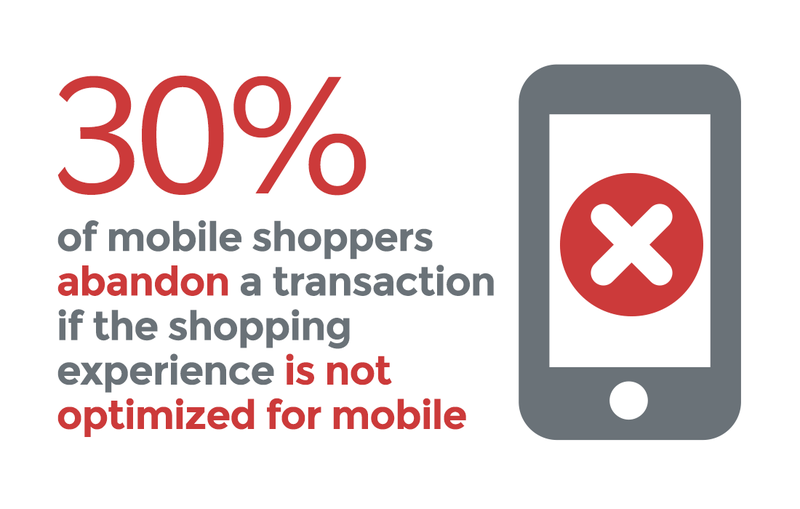 Shopping cart abandonment is increasing, unless you do something about it. 71. 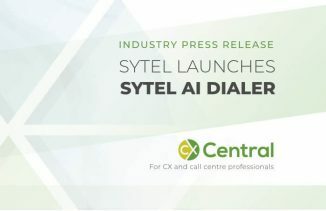 By the year 2015, there will already be 3 billion internet users worldwide. This figure is already 42.4% of the entire worlds population! 73. 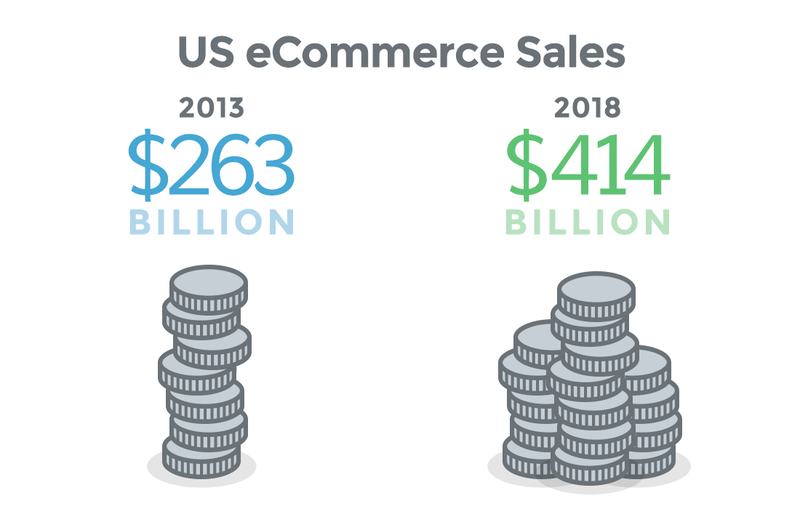 US ecommerce sales are predicted to grow from $263 billion in 2013 to $414 billion in 2018. 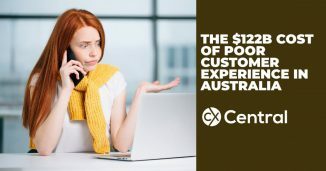 Poor customer experience in Australia is costing businesses $122B according to new research by Accenture. More stats and four key tips to fix it.